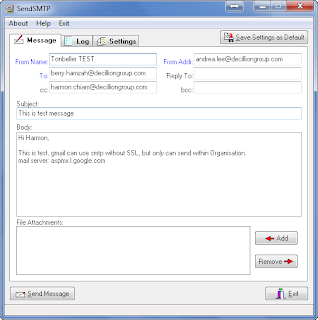 If you have domain in google app and using your domain gmail, You can connect to the Google Apps mail servers using SMTP or SSL. 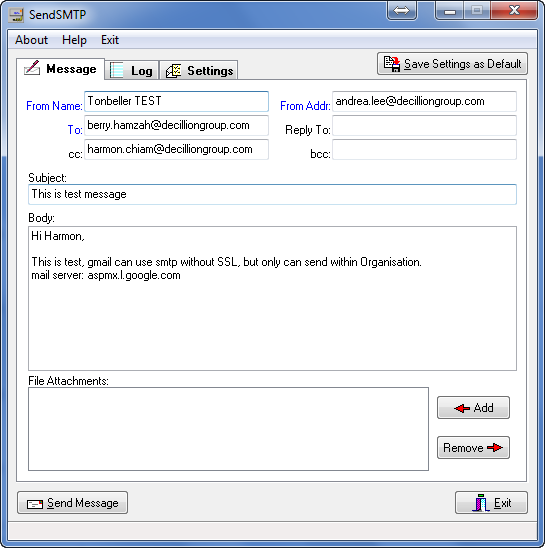 If you connect using SMTP, you can only send mail to Gmail or Google Apps users; if you connect using SSL, you can send mail to anyone. That’s a problem, as Google Apps email accounts use smtp.gmail.com on port 465 (for SSL) or 587 (for TLS). 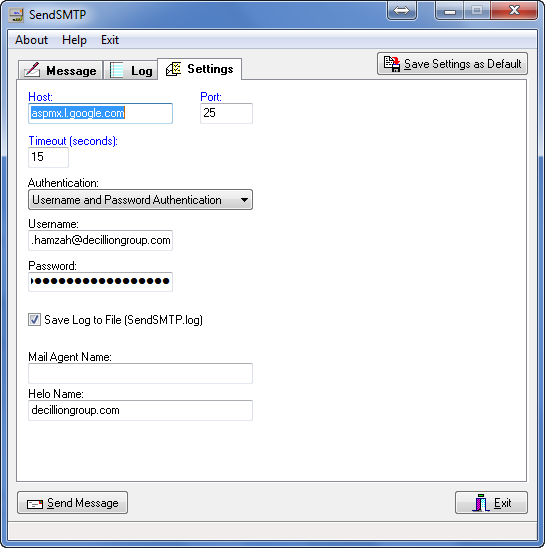 Unencrypted sending is not possible through this SMTP server. 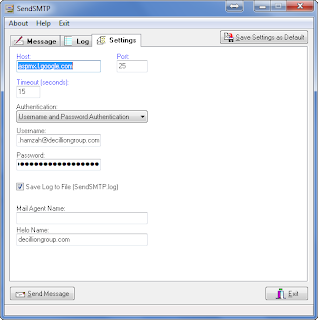 I've try it using tools SendSMTP. 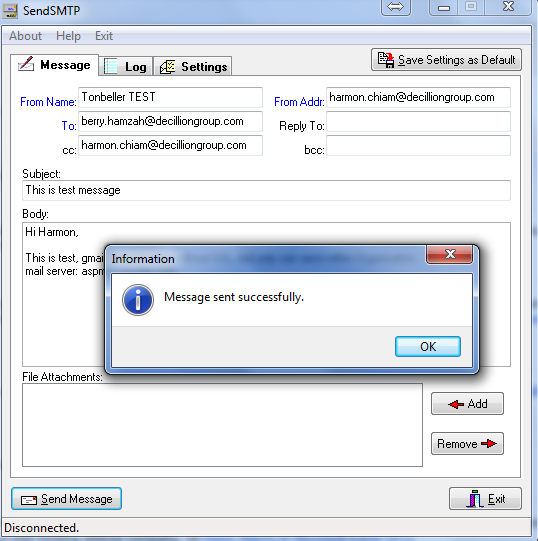 SendSMTP can send SMTP email via command-line instructions or interactively. 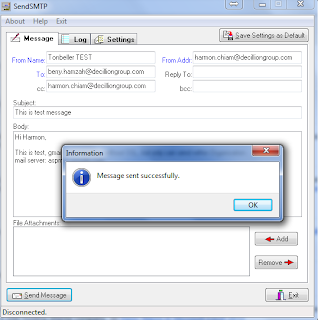 This useful utility can be used to send email alerts, programmatically send files, whatever you like.